So I know that I said in my last post that I would do a video/post about what's in my handbag, but to be honest I don't really think that is something that you can really do a post on. I think that's probably more video material. So instead, I have decided to do a 2012 favorites blog post. This will come in two parts. Now these blog post won't just contain makeup/skin care essentials, it will also be containing other useful bits and pieces I have found to be quite useful, therefore I will be including them in this post. If I can find any of these products online I will link them at the end so you can check them out. First item that I discovered was Yankee Candles. Now if you follow me on twitter/instagram you'll know that I have a massive obsession with yankee candles and I do find it quite difficult to resist the temptation sometimes. However, I just could not resist anymore and decided to purchase a few little jars throughout the year. These are currently the scents that I have. These smell absolutely incredible either on their own, or you can burn more than one at the same time. I find that burning the 'Strawberry Buttercream' and the 'Cherries on Snow' candles the perfect combination. The smell is absolutely incredible. Other good things about these candles is the fact that you don't even have to burn them to fill a room up with scent. You can just take the jar top off and leave it like that. One of the main reasons why I prefer purchasing the jar candles instead of the tea lights, or tarts. Now as you all probably know yankee candles do not come cheap. I'm sure that I got these small jars for at least £7.99 each. But they are a decent size which is why I like them. 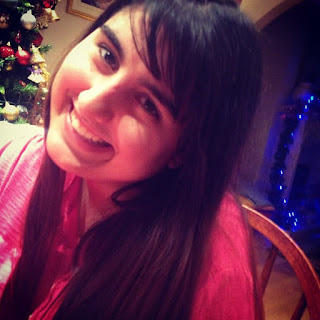 The second item that I loved using during 2012 was the dry shampoo. Now I don't like washing my hair every single day because I find that my hair becomes way to soft and unmanageable. I love using Batiste Dry Shampoo in 'Seductive & Elegant Lace'. I love the smell of this. I used the cherry one previously but I the smell made me feel a little bit ill. I love the smell of this one as I find it is very girly. The shampoo does appear white when I spray it in, however I find it a lot better to use than the one that is supposed to be for brunettes. I use this the day after I wash my hair normally and sometimes when I don't have time to wash my hair. I find it produces very good results. So I would definitely recommend this. I've been using it for 2 years straight now and l love it. I think (but I could be wrong) that these are priced at either £2.49 or £3.49 but I'm not entirely sure. The next item that I loved using during 2012 was the vaseline tins. My 2 favorites during 2012 was the 'Rosy Lips' vaseline and the 'Pink Bubbly' vaseline which I think was introduced in September. I love using the 'Rosy Lips' one as I find that it smells amazing and also protects my lips really well. It also has a pink tint which I also really like. Both of these tins in fact have a tint of colour in them which is the reason why I like them so much. I don't like using the plain vaseline tins purely because I like there to be a little bit of colour on my lips. The next item on my 2012 Favorites list is the 'Secret Fantasy' perfume from Avon. I love this perfume. I've been through about 3 bottles in the last year which for perfume is a lot to go through. It became my go-to item throughout last year. I didn't really use anything else. The smell is very sweet, floral and very girly. It's a great smell. As you notice there is no top on it but that's only because I lost it. It actually comes with a top and also a little key charm which I actually also lost (oops). But the scent is delicious and that's really at that matters. Next item that was another one of my go to items during 2012 was the 'Green Room' Nail Varnish (201) from Topshop. This is the only nail polish that I actually have from topshop because I find that £5 per bottle is really expensive. But I loved the color of this one and had quite a bit of money at the time so I decided to buy it. It's such a gorgeous color. I love this nail polish as I find it doesn't chip easily. I find it looks better in winter than it does during spring/summer because its a quite a dark color. I also find its the perfect size. It's not to big. By this I mean its not a big enough size that you waste the bottle and its not small that you use it up quickly. It's a perfect size. Easy to put in your handbag if you want to touch up your nails on the go as well. Final item I will be talking about in this part is 'The Body Shop' Moisture Foundation. The one I use is Number 07. I love using this foundation as I find it moisturizes as well as blends in well with my skin tone to give that more natural look which I love. I don't like my face to look that over done so I find this absolutely perfect to use. I go through stages of using foundations and I came across this one in, I think it was June/July and now I don't think I'll use anything else. I think it smells really good too. It leaves my skin very soft which I think is perfect. I'm not sure of the price but if I find a link I'll post it at the end. So today I went shopping/cinema with my best friend from high school. Was such a good day. Ended up going to Westfield Shopping Centre in White City. We had Lebanese food which was a chicken wrap but tasted REALLY good. We then went and saw Pitch Perfect & as you would know from yesterday's blog post, I love that film so much. If you have just clicked on my blog for the first time scroll down to see reviews/my opinions of the film and a rating as well. After the film we were tired. Who knew eating and watching a film would be so hard? We then went to Boots because there was a few things that my friend wanted to buy. Whilst I was there I browsed the make up/skin care products and came across the 'Liz Earl Cleanse and Polish Hot Cloth Cleanser'. I have read a lot of good reviews online and also saw a video just the other day from beauty blogger and you-tuber Zoella as well. I have used the product once before and I think it was last year but it was borrowed from my friend it wasn't my own product. When I saw the Liz Earl Cleanser today in Boots I decided to purchase it because I need a new skin care routine. I will warn you though it is quite pricey. I bought the starter kit for £14.25. I think if you just want the 100ML pump with the 2 clothes it's £12.95. Slightly cheaper but not a lot of difference with what you get. You just get 1 extra cloth and it doesn't come in a pouch like the starter kit does which is below. Inside the pouch there is 100ml pump and a cloth. There is also a set of instructions on the back of the pump and also a set of instructions printed on a piece of card inside the pouch as well. This is handy if you haven't used the product before and would like to know what to do. Although using a cleanser isn't really that difficult and I'm sure you've all got cleansers that you currently use. I look forward to using this product again as I think it will do wonders for my skin. I have ordered the toner and the moisturizer for dry/sensitive skin as well to go with this product so hopefully all 3 of them will do wonders. In about 2 months I will do another blog post giving a review about the product and rating it as well. Please remember this is my own personal opinion and will not be influenced by the company in any way. Another product I ordered whilst I was out was an Essie Nail Polish. I bought an essie nail polish last year. I can't remember when, I think it was August/September but I love it. I find it doesn't chip easily and all the colours are amazing. I've had my eye on this colour for a while but it was quite pricey so I decided to avoid it, however today I just couldn't resist. It is such a gorgeous color. If you can't see it the color is Mint Candy Apple. It's a gorgeous green color and I believe that it is a perfect color for winter/spring time. I know normally people like to wear dark colors but its good to brighten something up. I definitely will be wearing this. I don't really like wearing dark colors. Pale greens, blues, pinks and purples are the kinds of colors I like to wear on my nails so this is perfect. I got this in Boots for £7.99 but its not something I would buy all the time and they do last me a long time. It's a gorgeous brand so if you feel like purchasing it go to Boots/Superdrug and they should have them in there. I found this in Westfields in London. I wasn't able to find it in my local high street Superdrug so possibly there is more availability within the bigger stores. If you have any more questions/comments about either of these products please leave a comment below. So yesterday while I was in Kingston shopping with my friend I thought I'd take a trip to lush. I've never really bought anything from there before for myself so I thought I'd give it a try. Bath bombs were not really on the agenda because I'm more of a shower person than a bath person. 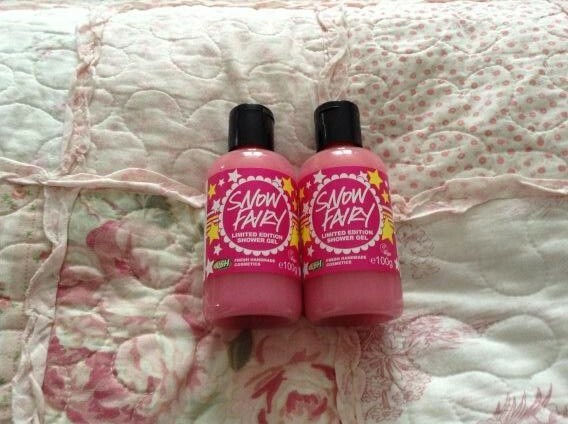 Anyway, one of the products I ended up buying was the 'Snow Fairy Shower Gel' which was limited edition over the Christmas Period. I couldn't find it anywhere because as it's January all the sales are now on, but I managed to find two little bottles that were on sale so I didn't hesitate to buy them and I managed to get two for only £3.50 which was a total bargain. I've seen a lot of people use them and all though I didn't want to 'jump on the bandwagon' they did look nice and pretty so I thought why not. They smell amazing and seem to be very popular. I used one this morning and I must say I am impressed. Gorgeous smell, gorgeous color and gorgeous product over all. 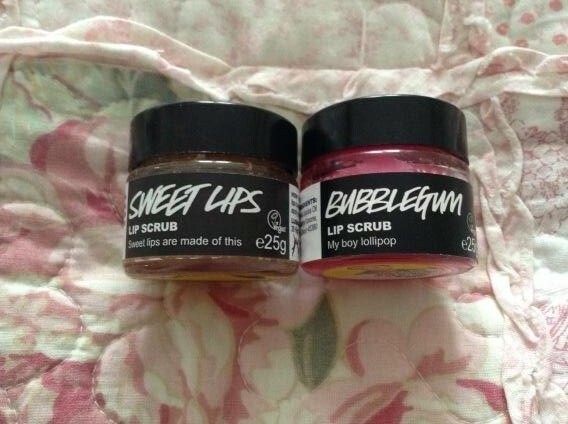 I only got 2 other products and they were 'Lip Scrubs'. I got 2 different flavors which are pictured below. When I say flavors I actually mean flavors because they just taste so good. The instructions for what you are meant to do are pictured below. I find that it does what it says it does on the packaging. I find my lips definitely do get a loft softer which is good because my lips dry up a lot and start to crack I use this and then put one of The Body Shop's lip butter on. 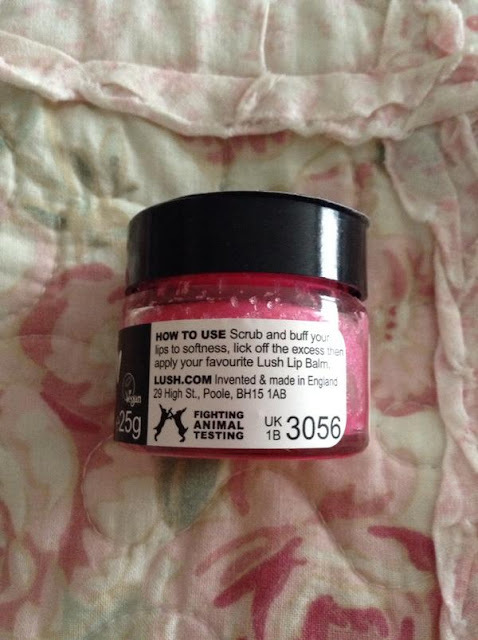 I know it says use one of Lush's lip balms but any lip balm you have should do. The results are amazing. So yeah please check these products out! Especially the 'Snow Fairy' because I have a feeling they'll be all gone in the next couple of weeks. So I decided to create a blog and post about different products I like to use in terms of makeup, bath products and even talk about some of the stuff I buy generally and give a review on them. I think it would be very interesting. I don't think I'll be the best blogger but it is all my opinions and I hope that I can share them with you and that you would be very interested. First of all however, I will start with a little introduction about me. My name is Fleur Danielle Griffin, I am 21 years old and I am from London. I live with my brother, mum and dad. I am also at university currently studying Travel and Tourism. This is my final year and I graduate on the 18th July 2013. I have absolutely no idea what I want to do with my life once I graduate but I am going to try to find a part time job and experiment with photography classes, learning the guitar, taking up acting and musical theatre lessons and then hopefully in the next couple years I'll know where I want to head! Anyway. It's 01:23AM here and I should really be getting to bed. I hope you enjoy reading my first post. If you want to know anything else about me please click the links above that will direct you to my social media. Thank you once again and if you have any questions post a comment below, tweet me, write in my ask or leave me comments on my photos on instagram.